Material: 95% , 5% elastane. : 100%. 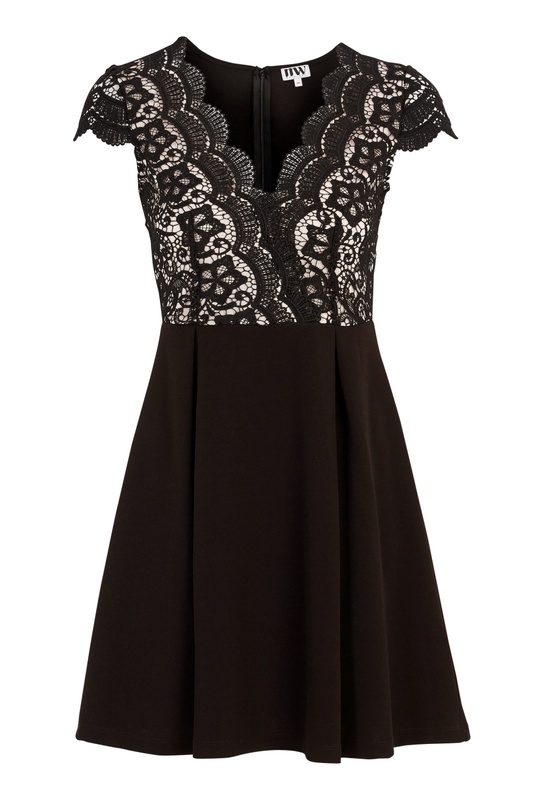 Luxurious and feminine looking dress from Make Way. It’s made of stretchy fabric with beautiful scallop shaped lace trim. Concealed back zip fastening. Length from shoulder 87 cm in size 36.